Much like last year, it seems that January is Amazon’s month for offering big discounts on protein powders and fitness supplements. Today, it’s Sheer Stength’s turn. Inside, you’ll find muscle builders, fat burners, testosterone boosters, and more, all for great low prices. 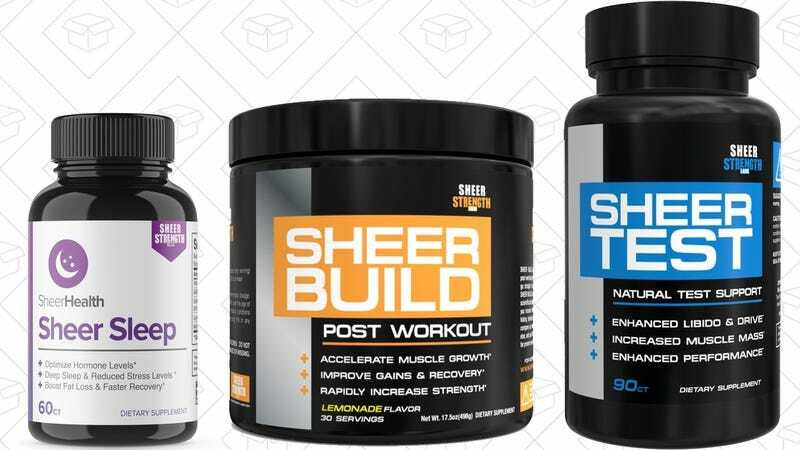 We’ll probably see more deals like this in the coming weeks, but if Sheer Strength is your brand of choice, these prices are only available today, or until sold out.